On 21st October, eleven Weidenfeld-Hoffmann Scholars had the opportunity to travel to Cambridge to attend a lecture on “In Order to Succeed in Peace Mediation You have to be an Honest Broker” by Mr. Martti Ahtisaari, former President of Finland (1994-2000). Mr. Ahtisaari is a Nobel Peace Prize laureate and also served as a United Nations diplomat. He is a mediator, widely respected for his international peace work. Just like our previous program on Moral Philosophy and Leadership, the scholars were highly excited about Humanities lecture at the University of Cambridge for distinct reasons. Created by Lord Weidenfeld, the program is managed by Weidenfeld-Hoffmann Trust in coordination with Cambridge Centre for Research in the Arts, Social Sciencs and Humanities (CRASSH). It took us around 2 hours to get there in our coach and during our travel time, the scholars indulged in discussions about their studies and living experience in Oxford. In his lecture, Mr. Ahtisaari shared his thoughts on Finnish peace and security situation during and after Second World War. He spoke at length about his efforts to resolve international conflicts across several continents and over more than three decades. Mr. Ahtisaari gave his reflections on the cases of Namibia, Aceh, Indonesia, Kosovo and Iraq where his role was very effective in bringing the warring factions together to reach a political settlement. He rightfully observed that mediation is about ‘trust-building’ and it comes with time, patience and consistent work. His recipe of prevailing peace has several components. Mediators ought to understand the wider context, regional and international, for one. People need to acknowledge that society is based on egalitarian principles. Mediators also need to find a possible way to build and shape the future. And finally, a mediator must have a clear understanding of the outcome from the beginning. The bottom line of his lecture was that a mediator should lead the process with clear intentions and should always act as ‘honest broker’. In the open discussion session, Weidenfeld-Hoffmann scholars asked Mr. Ahtisaari his views on the current peace building efforts in Middle East particularly Syria and some other recurring issues across globe. Mr. Ahtisaari responded to all queries by recounting his own personal experience and admitted that despite best efforts it is sometimes not possible to achieve intended consequences. In the evening following the session, we had a rare opportunity to interact with Mr. and Mrs. Ahtisaari, Lord Smith and other distinguished guests over the welcome drink at Pembroke College, Cambridge. It was a humbling moment to interact personally with both Mr. and Mrs. Ahtisaari. After the drinks and initial interactions, we were invited over to the formal dinner at Pembroke College. It was such a huge privilege because we benefited a lot from our discussion with some distinguished professors about academic and research interests. 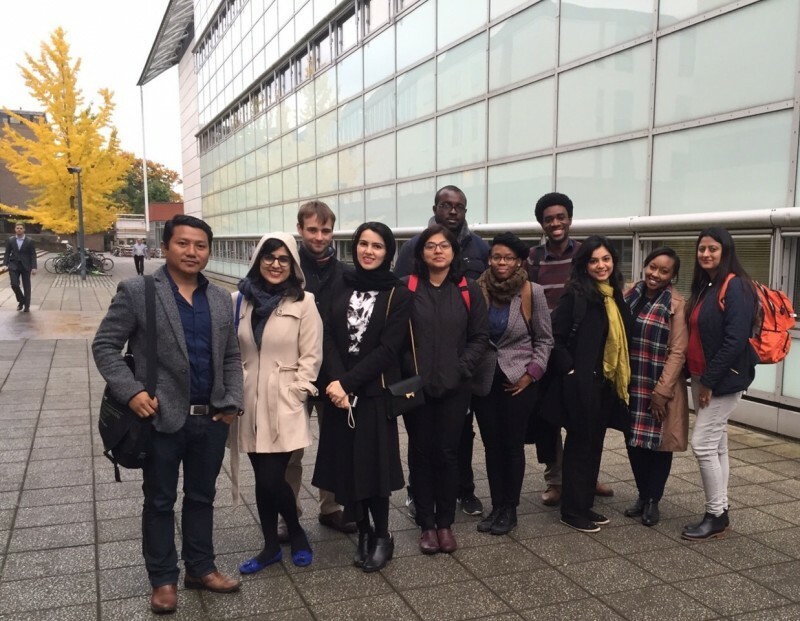 The trip to Cambridge was quite an exciting experience for all the Weidenfeld-Hoffmann scholars because the reflections of the lecture resonate with future leaders who aim to lend their voice to dynamic people and resolve prevailing social conflicts. We thank the Weidenfeld-Hoffmann Trust for this unique exposure and a valuable learning experience.